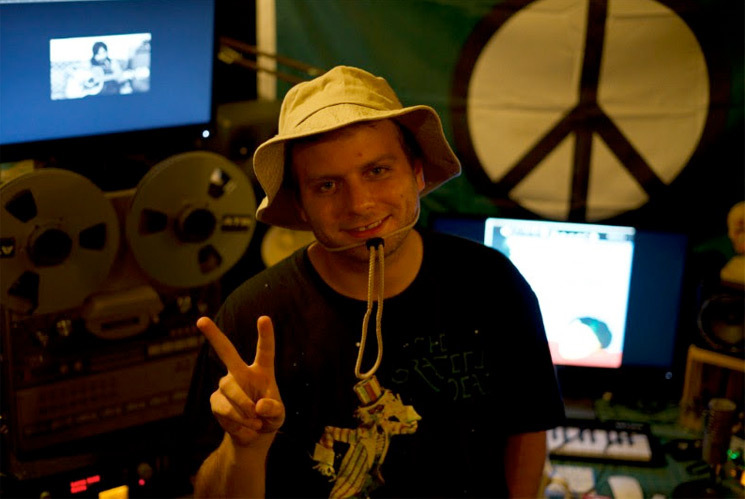 Early this summer, Mac DeMarco set up a secretive YouTube channel called CAM TONY, where he shared a pile of new material via a livestream. Among all that content was a cover of "Honey Moon" by Japanese musical legend Haruomi Hosono. Now the Canadian songwriter has shared a proper studio version of his redo. "Honey Moon" originally appeared on Hosono's 1975 album Tropical Dandy. Down below, you can now hear DeMarco do his best to sing in Japanese as he recreates the song by the Happy End/Yellow Magic Orchestra hero. At the bottom of the page, you can also check out Hosono's original. As previously reported, DeMarco recently offered up a press quote for Light in the Attic's newly released Hosono reissue series. The first three albums in the campaign are out now, and you can learn more about that here.